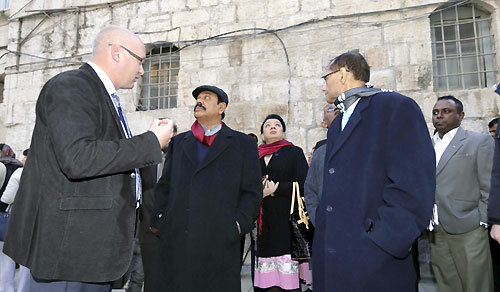 President Mahinda Rajapaksa and First Lady Shiranthi Rajapaksa visited historic religious sites in the Old City of Jerusalem in Israel on Wednesday afternoon (08 January). The historic Old City is home to a number of sites sacred for the Christian, Islamic and Jewish faiths. 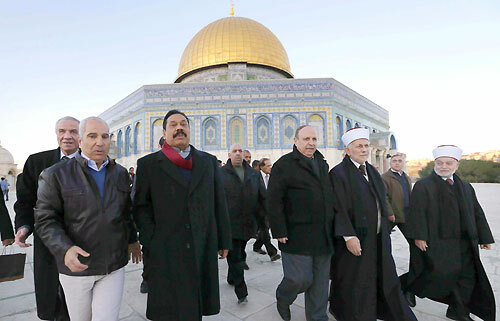 Islamic religious leaders have warmly welcomed President Rajapaksa to the Dome of the Rock, which is one of the most sacred sites for the world's Islamic community. It is believed to be the site where the Prophet Muhammad ascended to heaven. 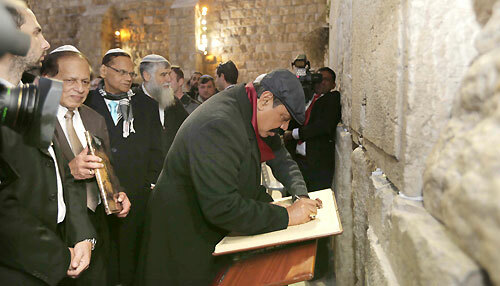 The President also visited the Western Wall, the Kotel, commonly known as the Wailing Wall. The Western Wall is one of the most sacred sites for the Jewish faith and the last remains of the Temple Mount. 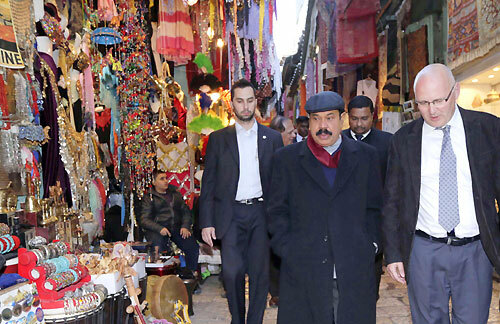 The visit to the Old City took place following bilateral discussions with Israeli Prime Minister Benjamin Netanyahu earlier in the day. 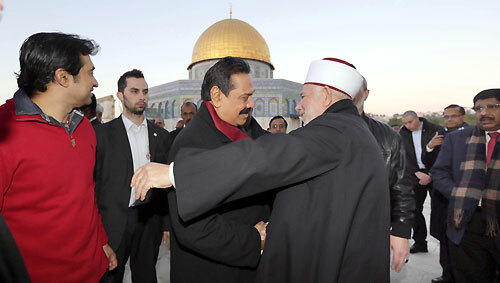 President Rajapaksa is scheduled to meet his Israeli counterpart Shimon Peres tomorrow. He is on a two-day visit to Israel, following visits to Jordan and Palestine. Minister of External Affairs Prof. G.L. 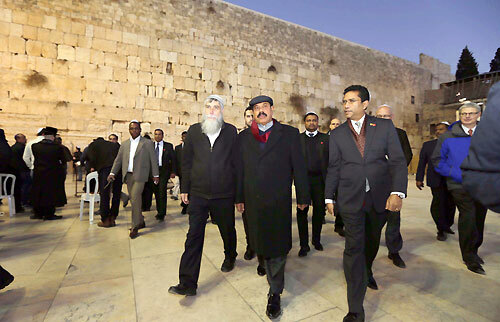 Peiris, Monitoring MP of the Ministry of External Affairs Sajin Vass Gunawardena, Parliamentarian Roshan Ranasinghe, Secretary to the President Lalith Weeratunga and several other officials joined with the President at the Old City.